Hey everybody, been a while, no? Recently, there have been pleadings. What’s going on? When are you guys coming back? Sweet Satan’s Soulpatch, give us SOMETHING! We hear you, we hear you. The truth is Marc and I have been working hard. Chapter 20 is all mapped out and partially scripted and drawn. The other truth is that we’ve been taking it a bit easy and not working at quite our usual pace. I think this was much needed. After years of working like crazy to turn out two strips a week, we just needed to recharge. But we’re done with that now and I’m pleased to announce that, barring disaster, SuperFogeys will be returning June, 2015 on a 5-day-a-week schedule for 8 solid weeks in the Summer! We’ve never done something like this before and we hope you’ll enjoy reading the next, (hopefully) great chapter in this saga at an accelerated pace. 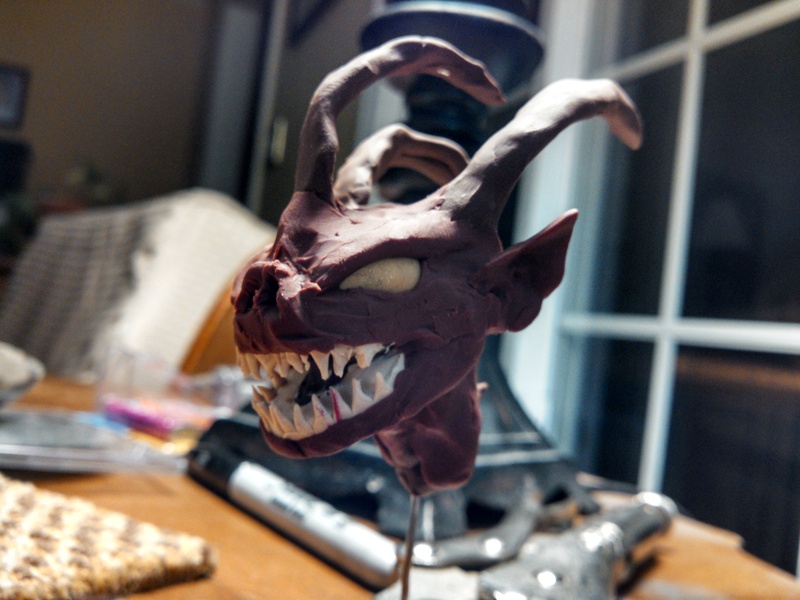 The beginning of Chapter 20 features quite a bit of Thrice Evil's mom, Mommy, so to get a better handle on her Marc just straight up sculpted her! 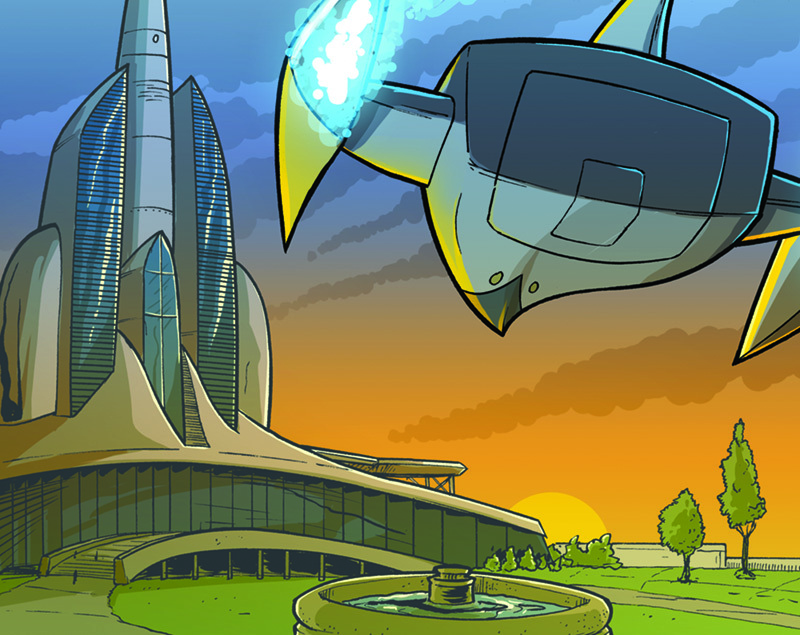 Starting with Chapter 20, Marc is drawing SF at a bigger size. Check out the increased level of detail! Secret Cache of SuperFogeys Vol. 1 Discovered! Marc and I are still gearing up the next, big chapter of SF, but with Christmas nearing I keep getting messages from frustrated people looking to buy SuperFogeys in print. For a long time, my line on that has been that all SuperFogeys books are out-of-print. While this is essentially still true, a previously unknown stash of about 30 copies of SuperFogeys Vol. 1 were recently discovered and you can purchase one of them for $9.99. That’s CHEAP. We originally priced these things at $19.99. Head on over to the Th3rd World Studios Store to check it out. 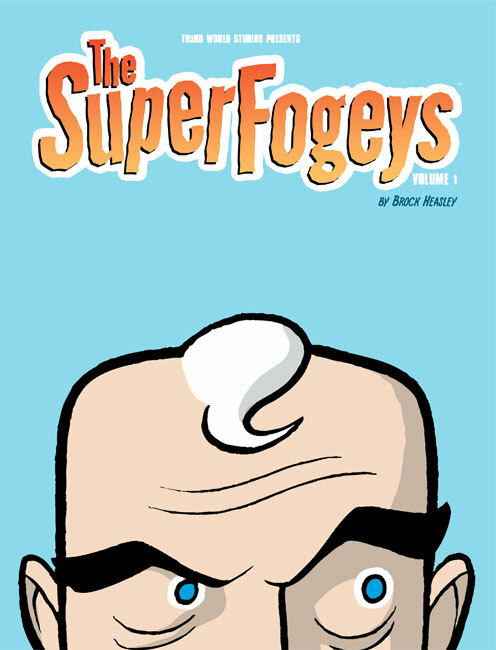 Also, for those of you more digitally-inclined, expect more SuperFogeys books hitting Comixology any day now. You can get the first two books right now, right here. Oops! 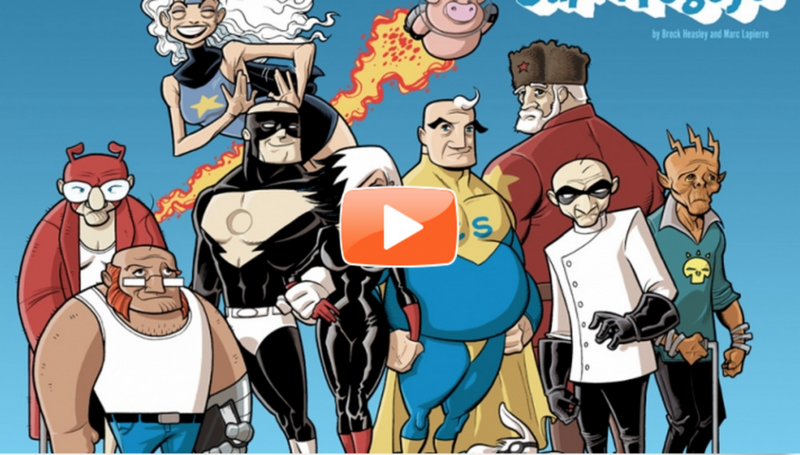 Marvel Uses Marc’s Art for their 75th Anniversary Television Special! Okay, I’ve been sitting on this for a little while so I could report to you all the full story. Now, it’s finally time to tell. Last week, ABC aired the special “Marvel: 75 Years from Pulp to Pop!” in place of Agents of S.H.I.E.L.D. As you would expect, the special was a big love letter to Marvel and FILLED with great art from their entire history. And one piece of fan art. Personally, I think Marc did a fantastic job combining disparate elements and making it all look totally legit. He says it took him a couple of hours. This is why we all hate him. Marc was never contacted about the use of his art. As you can see above, it was posted with watermarks, all of which have been removed from the art as it aired on national television. Whoever did it also distressed the art a bit, but it’s unmistakably Marc’s work, which admittedly does contain elements previously published by Marvel. But the main illustration? The one that aired alongside work by Jack Kirby, Steve Ditko, John Romita and Todd McFarlane? That’s all Marc’s. To be clear, I’m not planning to seek a lawyer. Considering the pantheon of creators who have gone before me and have encountered “less than fair” practices at Marvel, I feel it would be an insult to them for me to cry and moan about my situation. I created this piece using Marvel’s character, aping someone else’s artistic style, using a composition from a Marvel movie poster, and lifting actual logos and trade dress from a real Marvel comic. It was never intended to be anything more than a gag. I have never tried to sell any prints of it. I have never included it in a portfolio of any kind. The fact that a simple image I slapped together in a couple of hours has blown up to this level is mostly just an amusing and surreal moment in my life. That being said, if someone of power and influence were to take notice of this and offer me a shot at a pin up or cover gig, I wouldn’t mind. Marc was content to take the high road, but I still felt like the story needed to be out there. Artists do get taken advantage of and throwing a spotlight on that fact now and again is a very good thing. So, I forwarded the story to Rich Johnston at Bleeding Cool, the big comics news and rumors site that is read by pretty much everybody in the industry. Rich jumped on the story fast and published it within the hour. From there, the story went even wider and I saw several other sites pick it up. It was pretty awesome. There’s was some argument about how much or if Marvel owed Marc for the use of his art since he was riffing on Marvel in the first place, but everyone agreed Marc’s response was perfect and appropriate. True to his word, Marc sought no action against Marvel. My name is Zak Knutson. 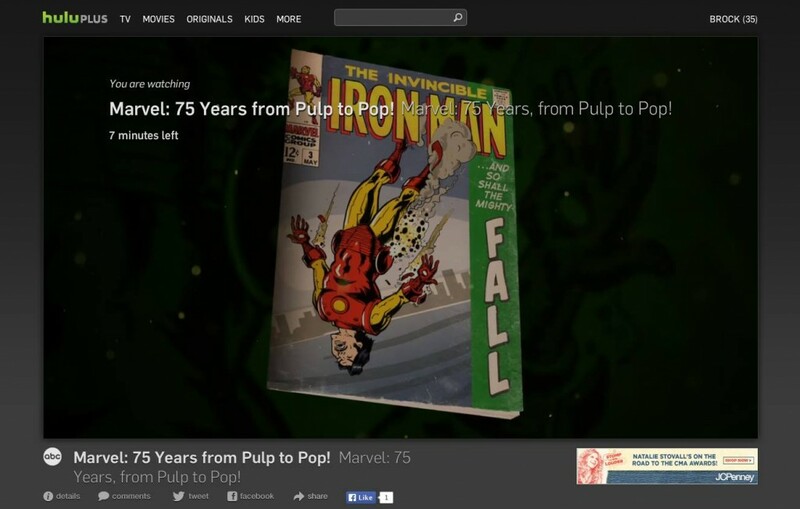 I was the director of the Marvel 75 television special. As you already know, we used your art. That wasn’t supposed to happen. We screwed up. We made this thing in 8 weeks, and your art got through the approval process – and it shouldn’t have. 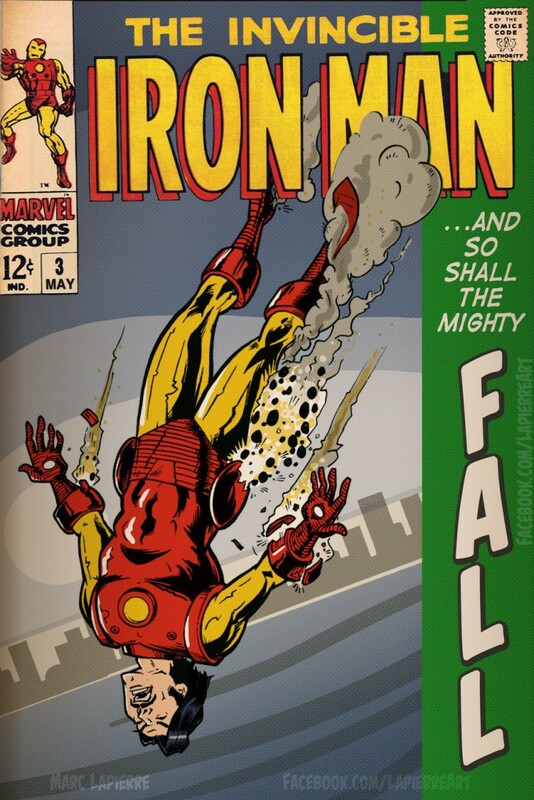 If it makes you feel any better, it was so good – we thought it was real Marvel art. We weren’t trying to screw you over – I promise. Just an honest mistake. Anyway, we want to make sure that we do right by you. Do you have an email that I could put you and the producer in touch. We want to make sure that you are taken care of monetarily. It wasn’t right, and we want to do right by you. Let me know if this is possible. Thanks and I hope you understand. True to his word, Zak and the producer of the Marvel 75th special reached an agreement with Marc and paid him a reasonable sum for the use of his artwork. No, it shouldn’t have happened in the first place and we still don’t really know how it happened, but in the end the right thing was done and wrongdoing admitted. That’s far, far more than you usually get in a situation like this. Marvel could have never contacted Marc and this all would have passed out of memory and died. Instead, Marc got the best possible outcome. Kudos to Zak and to Marvel. And, thank you, internet. Sometimes, you do right. 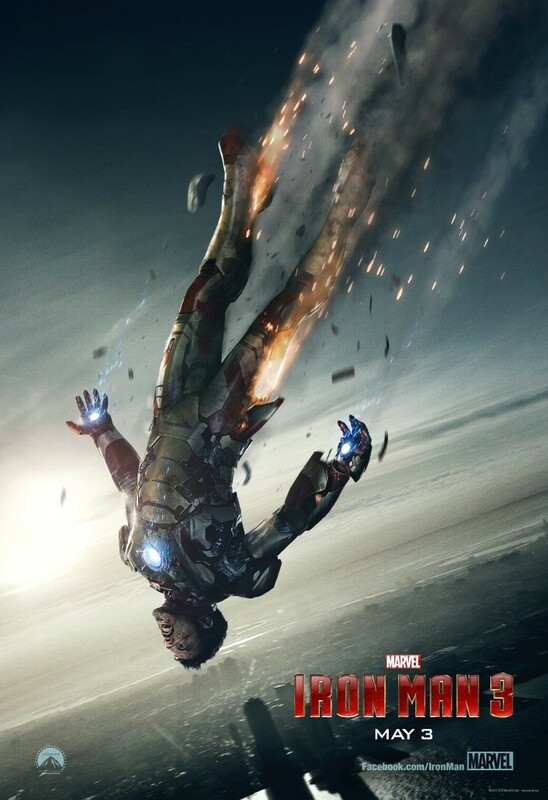 Feb 1, 2013 Who’s excited for Iron Man 3?